Anthony Hamilton & Fantasia Fantasia competed on American Idol back when you used to watch it in 2004. Along with R&B heavy hitter Anthony Hamilton, the outdoor concert season at Mann Center is in full swing. Anthony Hamilton & Fantasia The Mann Center Fantasia competed on American Idol back when you used to watch it in 2004. Along with R&B heavy hitter Anthony Hamilton, the outdoor concert season at Mann Center is in full swing. The Roots Picnic Philly loves when The Roots show their hometown pride. 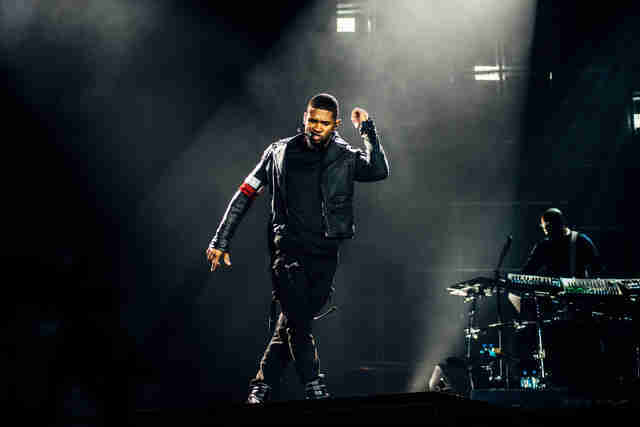 This year, expect Usher, DMX, Willow Smith, and others, too. The Roots Picnic Festival Pier Philly loves when The Roots show their hometown pride. This year, expect Usher, DMX, Willow Smith, and others, too. 104.5 Summer Block Party One of Philly’s remaining alt-rock stations kicks off its summer concert series; bands are still TBA. 104.5 Summer Block Party Festival Pier One of Philly’s remaining alt-rock stations kicks off its summer concert series; bands are still TBA. Wilco Wilco, one of the biggest modern rock acts/your dad's favorite band that he just discovered, comes to town for a stop on its Star Wars tour. Wilco The Mann Center Wilco, one of the biggest modern rock acts/your dad's favorite band that he just discovered, comes to town for a stop on its Star Wars tour. Lynyrd Skynyrd & Peter Frampton Even if it’s not of your time, you can’t deny that "Sweet Home Alabama" is a quintessential summer anthem. Lynyrd Skynyrd & Peter Frampton The Mann Center Even if it’s not of your time, you can’t deny that "Sweet Home Alabama" is a quintessential summer anthem. Rebelution If you’re in the market for some West Coast reggae tunes, this is your jam. Rebelution Great Plaza at Penn's Landing If you’re in the market for some West Coast reggae tunes, this is your jam. Twenty One Pilots The band headlines a daylong celebration of 104.5 radio’s ninth birthday. Twenty One Pilots BB&T Pavilion The band headlines a daylong celebration of 104.5 radio’s ninth birthday. Flight of the Conchords Hopefully it won’t be raining on your face. Flight of the Conchords The Mann Center Hopefully it won’t be raining on your face. Ray LaMontagne The somber mountain man returns to Philly to soothe you with his heartache-riddled slow tunes and ashy timbre. Ray LaMontagne Festival Pier The somber mountain man returns to Philly to soothe you with his heartache-riddled slow tunes and ashy timbre. Firefly Festival Spend three days finding your inner festival child in the woods of Delaware with headliners like Mumford & Sons, Kings of Leon, Florence & the Machine, and deadmau5. Firefly Festival The Woodlands of Dover, DE Spend three days finding your inner festival child in the woods of Delaware with headliners like Mumford & Sons, Kings of Leon, Florence & the Machine, and deadmau5. Taste of Chaos feat. Dashboard Confessional, Taking Back Sunday, and others If you’re still angsty, and if you’re hair is still everywhere, this lineup of early-aughts emo bands will always get you. Taste of Chaos feat. Dashboard Confessional, Taking Back Sunday, and others Festival Pier If you’re still angsty, and if you’re hair is still everywhere, this lineup of early-aughts emo bands will always get you. Harry Potter and the Sorcerer’s Stone with the Philadelphia Orchestra The Philadelphia Orchestra provides a stunning backdrop to your favorite wizarding movie. If you don’t go, you’ll never know love or friendship, and you will lose your nose and resemble a snake. Harry Potter and the Sorcerer’s Stone with the Philadelphia Orchestra The Mann Center The Philadelphia Orchestra provides a stunning backdrop to your favorite wizarding movie. If you don’t go, you’ll never know love or friendship, and you will lose your nose and resemble a snake. Dave Matthews Band It’s summer and you’re drinking Bud Light in a parking lot, which probably means that DMB is probably back in town again. Dave Matthews Band BB&T Pavilion It’s summer and you’re drinking Bud Light in a parking lot, which probably means that DMB is probably back in town again. Paul Simon Go see him bouncing into Graceland. Paul Simon The Mann Center Go see him bouncing into Graceland. Phish Both nights are somehow already sold out, so either scout StubHub (or a scalper), or catch them on the next farewell tour. Phish The Mann Center Both nights are somehow already sold out, so either scout StubHub (or a scalper), or catch them on the next farewell tour. Wawa Welcome America! Festival Like you’d forget this one. Take to the Parkway for a day of patriotic activities and live music (welcome back to The Roots) followed by fireworks. Wawa Welcome America! Festival Benjamin Franklin Parkway Like you’d forget this one. Take to the Parkway for a day of patriotic activities and live music (welcome back to The Roots) followed by fireworks. Weezer & Panic! at the Disco Weezer has a new record out, and it's not the worst thing we've ever heard. You should dress just like Buddy Holly for this one. Weezer & Panic! at the Disco BB&T Pavilion Weezer has a new record out, and it's not the worst thing we've ever heard. You should dress just like Buddy Holly for this one. 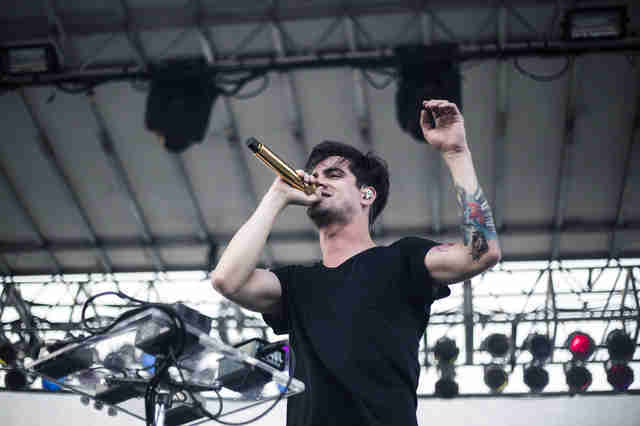 Vans Warped Tour The annual punk teen favorite, Warped Tour's lineup this year features bands like New Found Glory, Reel Big Fish, Less Than Jake, Yellowcard, and other pop-punk bands... plus Waka Flocka Flame. Vans Warped Tour BB&T Pavilion The annual punk teen favorite, Warped Tour's lineup this year features bands like New Found Glory, Reel Big Fish, Less Than Jake, Yellowcard, and other pop-punk bands... plus Waka Flocka Flame. Back to the Future with the Pittsburgh Symphony Orchestra The official orchestra of PA’s second-best city represents in the first with a live score of the cult classic film as it plays on the big screen. Back to the Future with the Pittsburgh Symphony Orchestra The Mann Center The official orchestra of PA’s second-best city represents in the first with a live score of the cult classic film as it plays on the big screen. Billy Joel Billy gives the Phillies a break for a night. Billy Joel Citizens Bank Park Billy gives the Phillies a break for a night. Sublime Rome, Dirty Heads, Tribal Seeds, and Bleeker will also play. Sublime Festival Pier Rome, Dirty Heads, Tribal Seeds, and Bleeker will also play. 104.5 Summer Block Party As of publication, the next installment of the concert series has yet to announce its lineup, but you'll probably want to be there. 104.5 Summer Block Party Festival Pier As of publication, the next installment of the concert series has yet to announce its lineup, but you'll probably want to be there. Pokémon with the Pittsburgh Symphony Orchestra Catch another Pittsburgh orchestra performance, this time to the pop-anime stylings of Ash, Misty, and Pikachu. Pokémon with the Pittsburgh Symphony Orchestra The Mann Center Catch another Pittsburgh orchestra performance, this time to the pop-anime stylings of Ash, Misty, and Pikachu. Brand New and Modest Mouse Both bands will perform complete headlining acts. Brand New and Modest Mouse The Mann Center Both bands will perform complete headlining acts. 311 with Matisyahu Brought to you by local advocates of sustainable agriculture, Hemp Heals. 311 with Matisyahu Festival Pier Brought to you by local advocates of sustainable agriculture, Hemp Heals. XPoNential Music Festival Watch acts like Alabama Shakes, Father John Misty, and The Felice Brothers at WXPN’s annual summer music fest. XPoNential Music Festival BB&T Pavilion Watch acts like Alabama Shakes, Father John Misty, and The Felice Brothers at WXPN’s annual summer music fest. 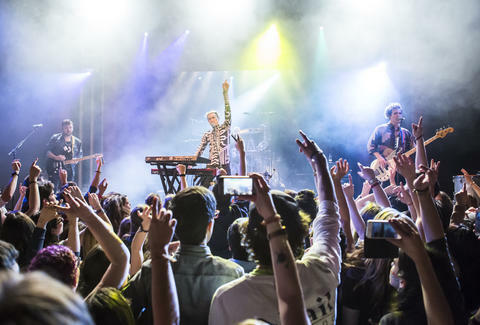 Walk the Moon Come early to catch opener MisterWives. Walk the Moon Festival Pier Come early to catch opener MisterWives. The Lord of the Rings with the Philadelphia Orchestra LOTR’s score gets a boost from the Philadelphia Orchestra. The Lord of the Rings with the Philadelphia Orchestra The Mann Center LOTR’s score gets a boost from the Philadelphia Orchestra. Slipknot with Marilyn Manson and Of Mice & Men Unleash your inner metalhead on the banks of Camden. Slipknot with Marilyn Manson and Of Mice & Men BB&T Pavilion Unleash your inner metalhead on the banks of Camden. Deftones Local rock station WMMR hosts this rain-or-shine stop on Deftones' tour supporting their latest record. Deftones Festival Pier Local rock station WMMR hosts this rain-or-shine stop on Deftones' tour supporting their latest record. 104.5 Summer Block Party By August, you know the deal. Stay tuned for lineup details. 104.5 Summer Block Party Festival Pier By August, you know the deal. Stay tuned for lineup details. 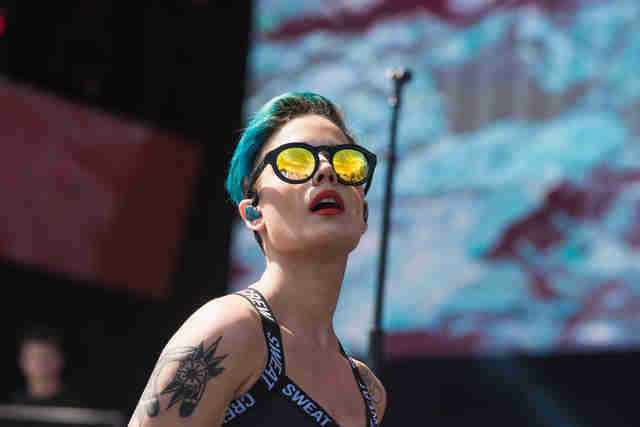 Halsey Buy tickets if you were raised on Biggie and Nirvana. Halsey Festival Pier Buy tickets if you were raised on Biggie and Nirvana. Philadelphia Folk Festival The Philadelphia Folksong Society hasn’t unleashed this year’s lineup, but a few things about the festival remain certain: there will be camping, candlemakers, and puppeteers. Philadelphia Folk Festival Old Pool Farm The Philadelphia Folksong Society hasn’t unleashed this year’s lineup, but a few things about the festival remain certain: there will be camping, candlemakers, and puppeteers. Slightly Stoopid The band makes another nod to Star Wars on its "Return of the Red Eye" tour. Slightly Stoopid Festival Pier The band makes another nod to Star Wars on its "Return of the Red Eye" tour. Made in America Festival Jay Z’s annual brainchild always promises the biggest acts of the year, and it’s all in our backyard. Last year, we saw Beyonce, The Weeknd, and J. Cole headlining, so you know 2016 will be just as promising. Made in America Festival Benjamin Franklin Parkway Jay Z’s annual brainchild always promises the biggest acts of the year, and it’s all in our backyard. 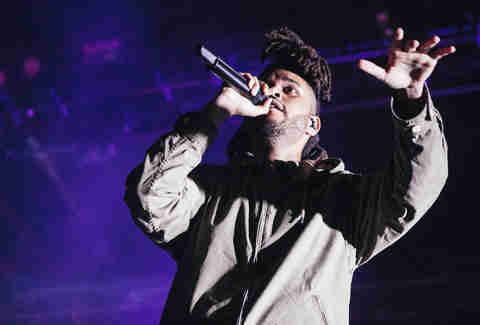 Last year, we saw Beyonce, The Weeknd, and J. Cole headlining, so you know 2016 will be just as promising. 104.5 Summer Block Party The final installment of the concert series made it just under the wire before the official end of summer. 104.5 Summer Block Party Festival Pier The final installment of the concert series made it just under the wire before the official end of summer.